Your wedding day is always a day charged with emotions, significance and expectation. Most women dream of getting married from the time they are quite young, picturing it over and over again in their minds. This gets heightened when you find the person you want to marry and then again when you get engaged, and the expectations that are heightened during this period can often get out of control. Lena Kasparian creates beautiful custom-designed and custom-made wedding dresses for brides across Sydney, throughout Australia and even internationally. Working with her Sydney manufacturing team, Lena herself designs every dress for every bride and takes extreme pride in her ability to create a dress that is both suited to you personally and flattering to your figure while giving you a timeless elegance on one of the most photographed days of your life. 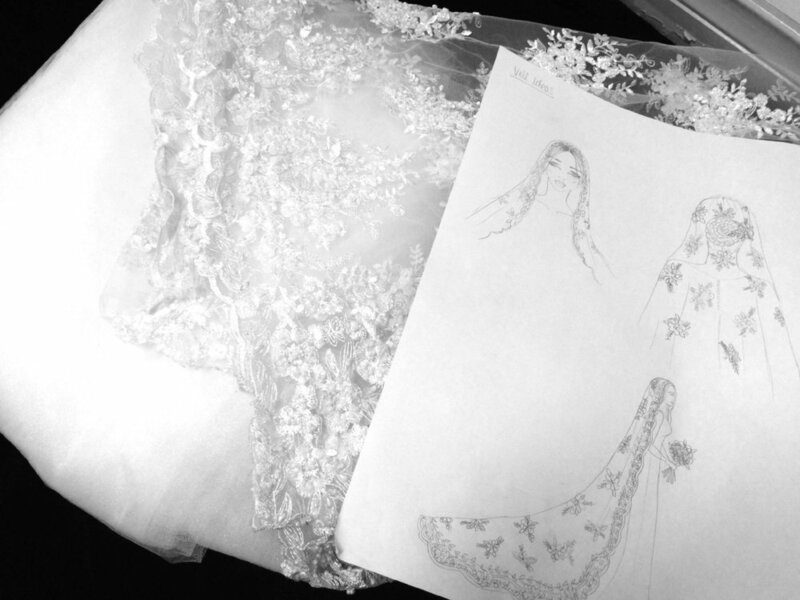 For the team at Lena Kasparian, the aim is to provide brides with the best version of what they envision for their wedding day. The approach taken to achieving this for brides is quite simple – we take the time to sit with our brides and talk to them about exactly what they want. We take the time to get to know you, understand who you are as a person along with your wants, likes and loves and ensure that we add a layer of that into the dress that we create specifically for you. 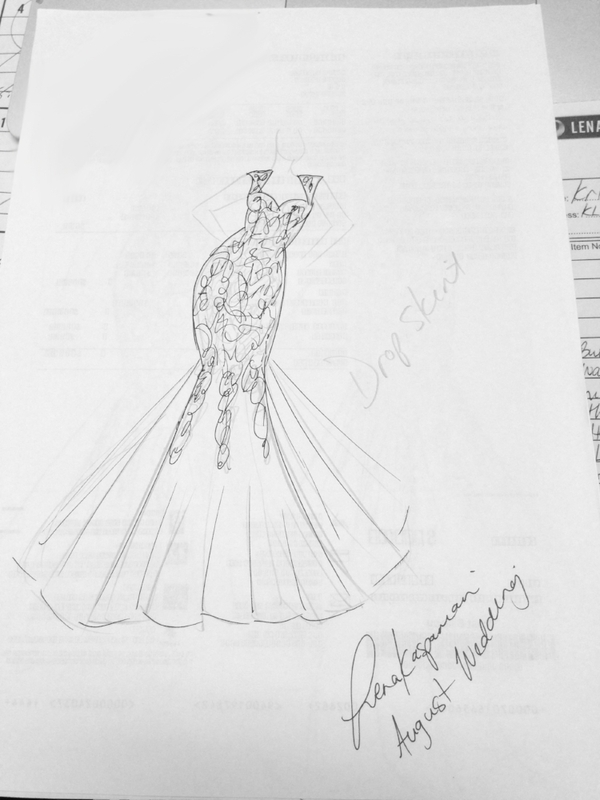 The designer, Lena Kasparian herself, put’s it simply – "When a bride comes to me with an idea I have a vision... 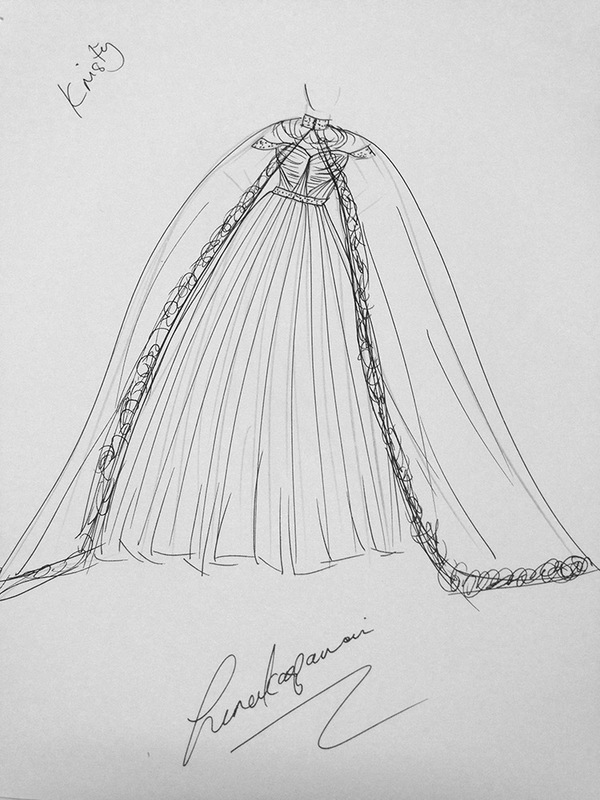 I create a gown to suit her personality”. And that is as complicated as it gets for our brides. We create dresses that are matched to you personally, and therefor they will always look amazing on you on the day. As one of the few custom wedding dress designers in Sydney, we are always thrilled when a new bride walks through the door and we have an opportunity to craft the perfect dress for her. Whether it is a custom-made suit for your groom, beautiful bridesmaid dresses, a gown for the mother of the bride or mother in law or even simply a beautiful veil; Lena Kasparian is an easy destination for brides wanting the best quality and bespoke designs for their wedding day. Throughout this post you can see some of the amazing wedding dresses, veils and custom suits created by Lena Kasparian and her team. If you are looking for the perfect custom made wedding dress, designed to perfectly fit and suit you, then we would love to help you bring your dreams to life and create the perfect wedding dress for you. Please get in touch via our contact page and we would love to invite you into The Panthers Den at your earliest convenience to assist you in having the best dressed, most memorable day of your life.